The fan in the bathroom was very loud, not independent from the light. Where to find Bristol hotels near an airport? Where can I find hotels in Bristol that are near tourist attractions? There isn't a big range of Expedia-accredited lodgings within a 0.1-kilometre (0.06-mile) distance of the heart of Bristol, so we recommend you to book your room early if you want to stay in a centrally located Bristol hotel. 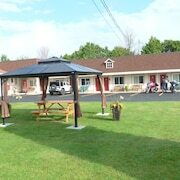 The Quality Inn Arnprior, Ontario, which is the nearest accommodation, sits 12 kilometres (7 miles) from downtown Bristol. As an alternative, check out the Days Inn & Conference Centre Renfrew, located in Ontario, which is 20 kilometres (13 miles) away. The Knights Inn Arnprior is positioned 12 kilometres (8 miles) from the middle of Bristol. 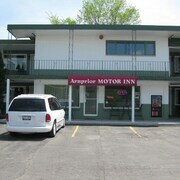 Or, alternatively, the Arnprior Motor Inn is 12 kilometres (8 miles) away. 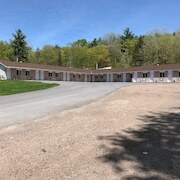 The Pine Lodge as well as the Auberge du Village Shawville are other alternative options around Bristol. 40 kilometres (24 miles) to the east of Bristol you'll find Wakefield, where you can spend the day visiting Maclaren Cemetery and MacLaren Mill. 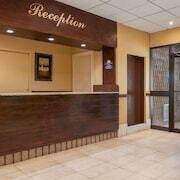 Wakefield hotel options include the Moulin Wakefield Mill Hotel & Spa and Auberge De Mon Petit Chum B&B. 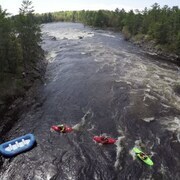 Or stay in Gatineau, 60 kilometres (37 miles) to the east of Bristol, where you'll find the Comfort Inn Gatineau and Hotel V. The Canadian Museum of History and Casino du Lac Leamy are a couple of the more popular places to explore for those visiting Gatineau. If enjoying sport is your passion, take the time to visit Canadian Tire Centre, which is 45 kilometres (28 miles) to the southeast of Bristol. Sports fans wanting to find a room or apartment nearby can make a choice from the Holiday Inn Hotel & Suites Ottawa Kanata or the Fairfield Inn & Suites by Marriott Ottawa Kanata. If you are planning on flying via Macdonald-Cartier International Airport, you may plan to book some accommodation at Days Inn Ottawa Airport, or Holiday Inn Express Hotel & Suites Ottawa Airport, which are both a short trip away. What are the most popular Bristol hotels? 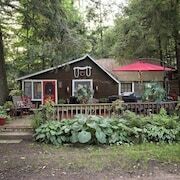 Private Sandy Beach, hot Tub, Kayaks & Stand up Paddleboard! Are there hotels in other cities near Bristol? What other types of accommodations are available in Bristol? Explore Bristol with Expedia.ca’s Travel Guides to find the best flights, cars, holiday packages and more!